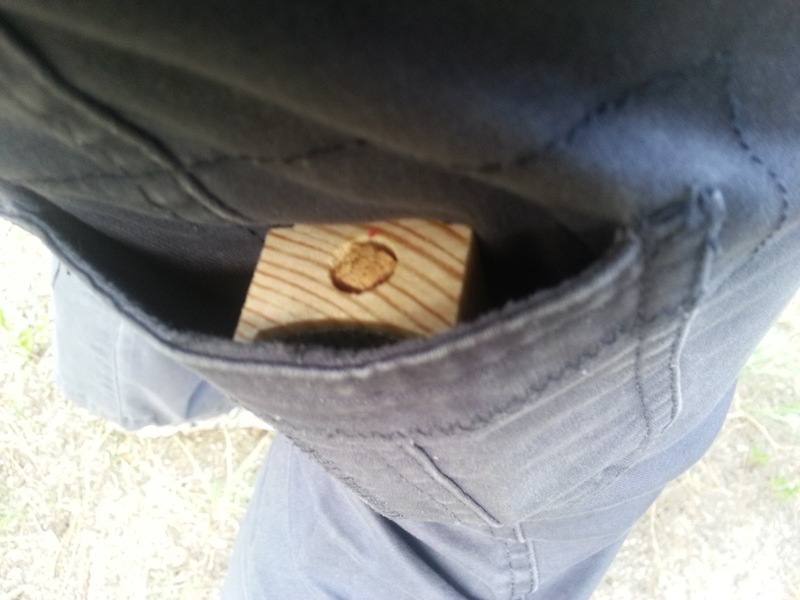 We have not had good luck with our hive this summer. Is there a queen, is there not a queen, is Beatrice dead, do we have a laying worker . . . are they all going to die? Then, a surprise. 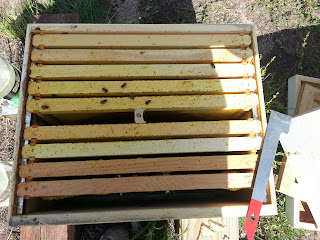 We did a hive check on July 3rd, and low and behold, we had bees! 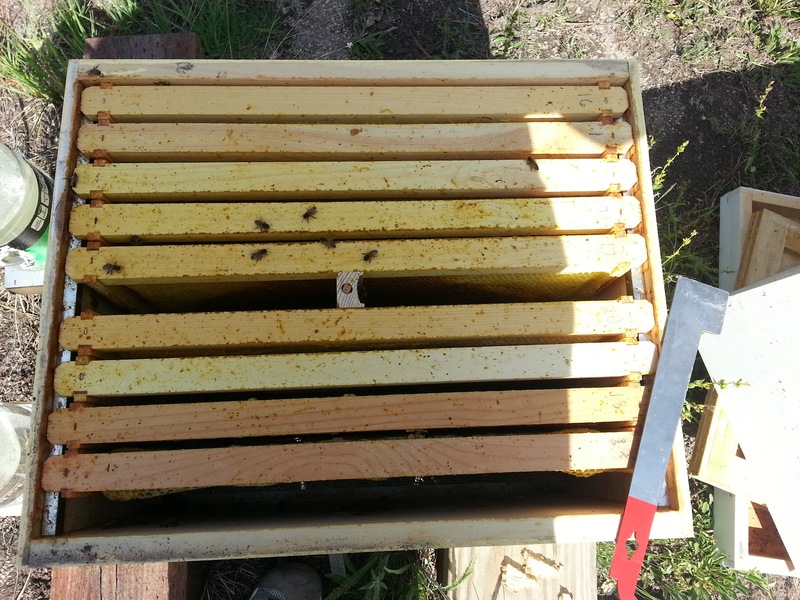 Yes, there were quite a few fuzzy drones (left behind by the laying worker, no doubt), but where we'd thought to find an almost zero population, we had bees working both boxes! 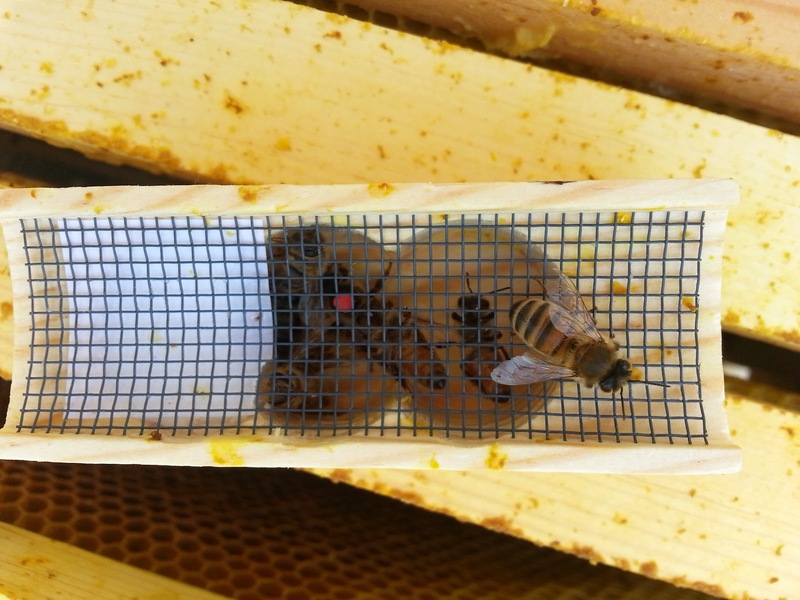 Our best guess is that our laying worker died, along with some of the original bees, and we collected some foragers from hives that were burned out in the Black Forest fire. Without a laying worker and a decent population, we could try introducing a new queen. We added some sugar syrup to them, and I went in on an order for a new queen from Z's Bees. This time I got a Carniolan queen, instead of an Italian. While not being as big honey producers, they're even less aggressive than Italians and suited to cold climates and high elevations. They're smaller, darker, and just as lovely. The new queen (Queen Catherine?) arrived last Tuesday. I picked her up, carried her around in my pocket until I could make it out to the bee yard and install her. I left the cork in the cage, and placed her crossways between two frames on the bottom box. I wanted as much access to her as possible for the worker bees. Then I closed it all up and left them to do their thing. I'm slightly concerned because her abdomen isn't as large or fat as most of the queens I've seen. I'm not sure if this is because she's a Carniolan, or if she was poorly mated. I guess we'll find out in a few weeks. I returned on Friday and removed the cork. I poked a hole in the fondant, so the bees could work on releasing the queen from both sides. There were a lot fewer bees, but hopefully enough will survive until the queen can produce a new bunch of brood. Keep your fingers crossed!